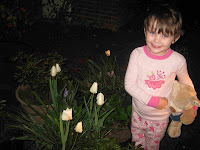 I started reading WhyMommy's posts at Toddler Planet in late 2008. I thought we had some kin-ship since we were both raised in the south and since we both chose/were forced to give up/change aspects of our careers because of rigid policies on flexible work schedules. One time, I even ran into her at Value Village ! And another time in the Chicago airport ! To start off my post on science in her honor, I decided to focus on science education in early childhood. Being a fan of the Waldorf method of teaching (and a loosey-goosey practitioner of Waldorf in the home) I wanted to look for resources on science education in early childhood in the Waldorf method as well as more mainstream science education in early childhood. Well, all I can say is that it's a good thing that Stimey suggested this, because evidently early childhood is a great time to introduce your kid to science and scientific concepts. and lastly, a critical look at Waldorf Science. This article is rather old and it appears that the Waldorf governing body has made new recommendations for the science curriculum since then. Armed with some knowledge, I set out to be ready for a scientific phenomena that would peak Beezus' or Ramona's attention. A couple nights ago, Beezus and I ran an errand in the car after dark. 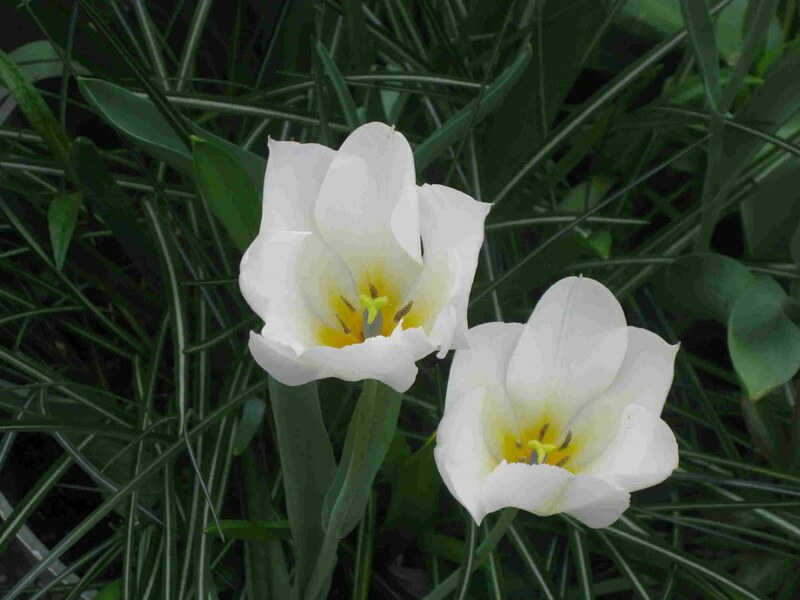 As we pulled in the driveway, the headlights of the car focused on the tulips we have growing. I noticed they were closed and brought Beezus over to look at them. We wondered whether they were closed during the daytime as well and we took pictures to document the closed tulips. 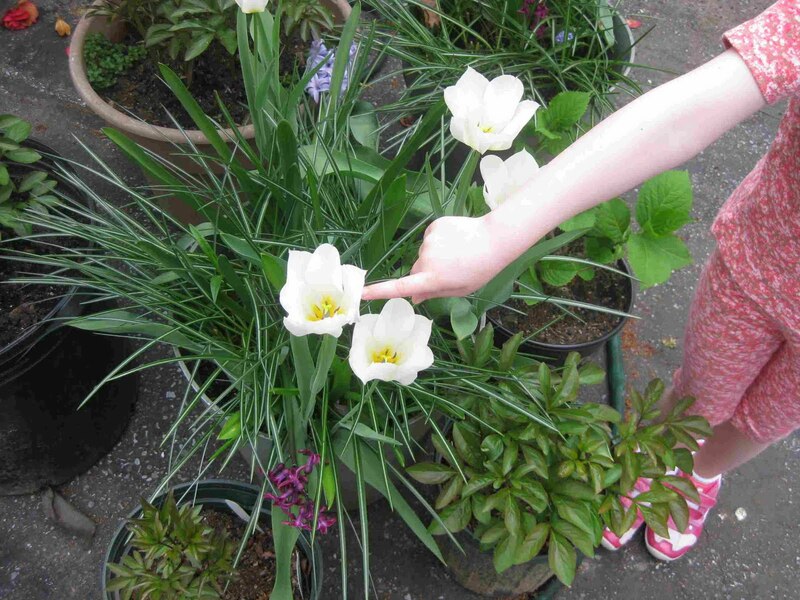 Then we decided to look at the tulips the next day and see if they were open or closed. At that time, Beezus didn't have any ideas about why they were closed and she wasn't sure if they would be open or closed during the daytime. 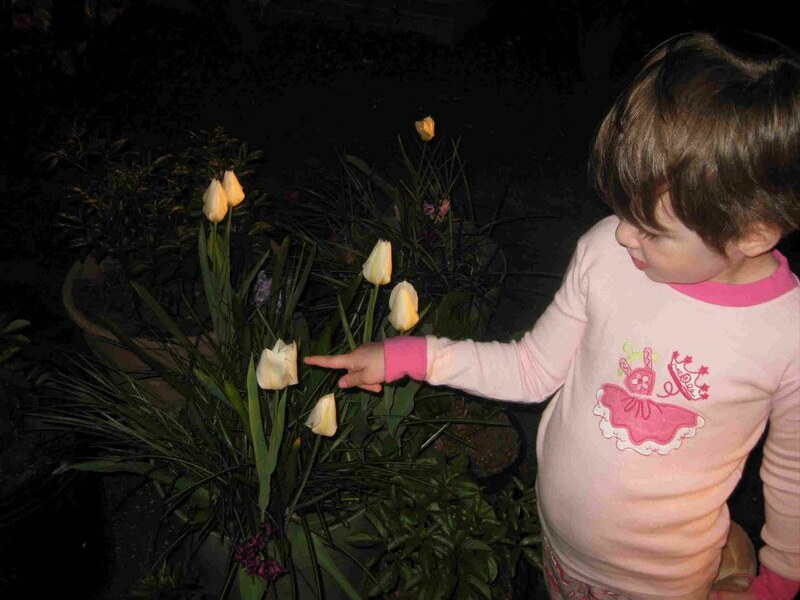 So, the next morning after dragging Ramona out of the house and down the steps (she's a homebody) we checked the tulips again and saw they were open. We looked inside and saw the stamen. Beezus was more interested in (playing with the camera) documenting the state of the open flowers than speculating on why they were open, so I held off any discussion until later. That evening, we looked at the photos on the computer and compared them. Here's our conversation. TSM: Why do you think the flowers were closed at night-time? B: Because at night-time they close. TSM: Hmmm. When you are cold what do you do ? TSM: Do you open your arms wide or do you wrap your arms around yourself and hug yourself to stay warm ? B: I just hug myself to stay warm. TSM: Do you think that maybe the flowers are kind of hugging themselves with their petals to stay warm ? TSM: So, why do you think the flowers are open in the daytime ? B: Because they want to be hot. TSM: Who visits the middle of the flower ? B: Bugs. They bring honey from the flowers. TSM: So, what would happen if the flowers were closed during the daytime ? B: Bugs won't come in. TSM: What would happen then ? B: Then we wouldn't have honey ! (she said this rather emphatically). 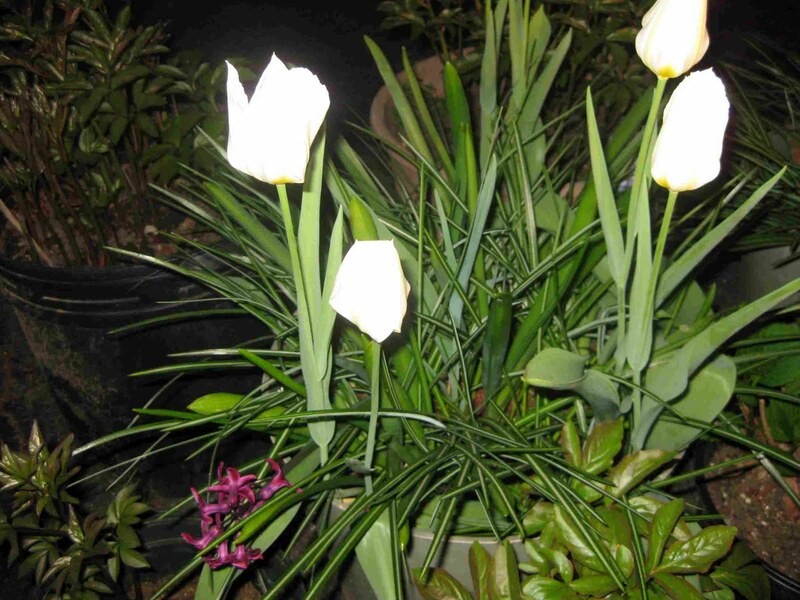 Our next steps would be to actually look up why flowers close at night and open during the daytime. But frankly, I'm not as interested in the answer as I am interested in teaching her to be curious and ask why. 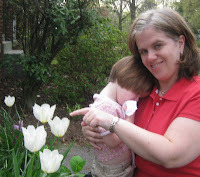 In general, I try to make up for my short comings as a mother. For example, I am not artistic, so when given the option I asked to have Beezus in a pre-school class with a teacher who is an artist and gives the children in her class a lot of opportunity to learn about are and practice various forms of artistic expression. (Just ask Beezus about Alexander Calder or Ana Mendieta and tell me that a four year old is too young to learn about art history !) I am not naturally scientific nor am I curious about scientific things, so this is an area that I would like to learn more about so as to help my children develop a scientific curiousity ! Thankfully, there are bloggers like WhyMommy to challenge me to do just that ! Value Village rocks...and so do you...and your living prayer of science learning for Susan! I think that the critical thinking skills are often just as important as the right answer. Such a great experiment you conducted Ellen! Hey, that was wonderful! They wondered, asked questions, came up with answers -- and the experimentation with the camera? Why, that's engineering! What a beautiful post -- and I hope to run into you again, closer than Chicago!